A house recently renovated by Modern Form Kitchens. 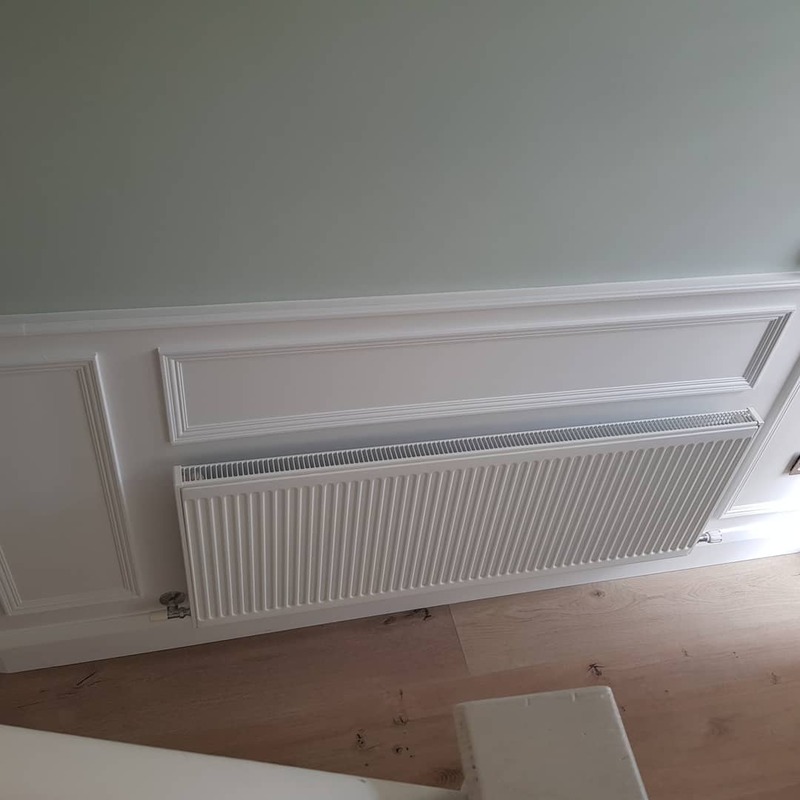 This house was built in the 1940’s and needed extensive work carried out including new combi boiler installed in the attic and new radiators throughout the house. New electrical wiring in the house as the old wiring could prove dangerous in time. The kitchen was very small so 2 walls were knocked to make the downstairs open plan plus frosted glass doors installed. A lamp room grey from Farrow and Ball kitchen was installed with solid oak worktops and appliances from Caple including a 800mm double Belfast sink. 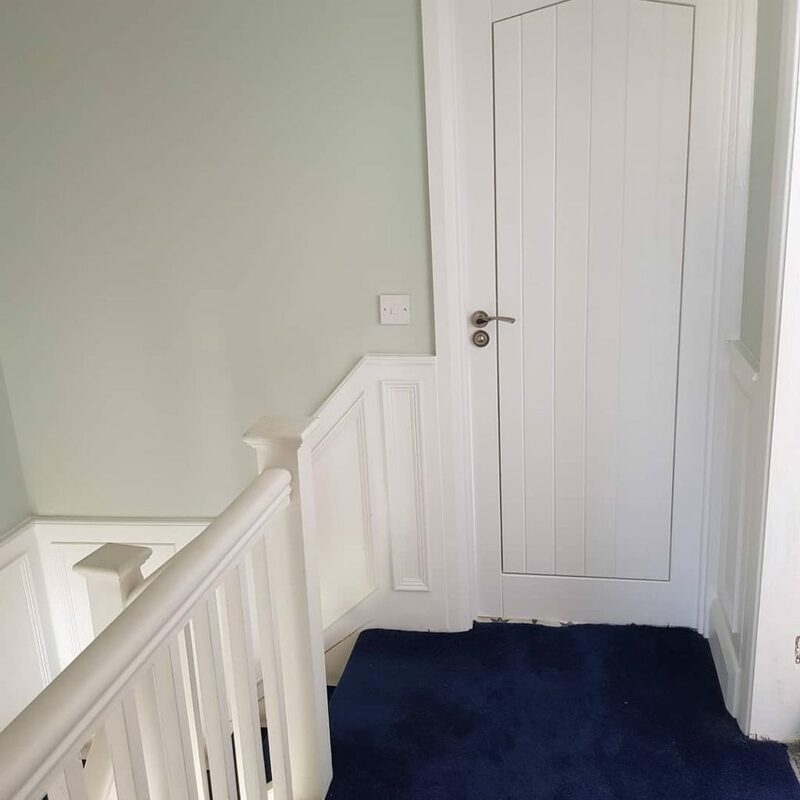 The floor is from Floor Design and it is the Grande linen oak range with 2 width boards used, 1 wide and 1 narrow plank and these are approx 8ft long so make the space look extra big. The sitting room has wood paneling on the wall to add some depth and warmth to the room with LED uplights installed around the ceiling which can change colours by remote control, red bricks under the window to match the exterior of the house. The tv unit was custom made by Modern Form Kitchens and the furniture is from ez living. 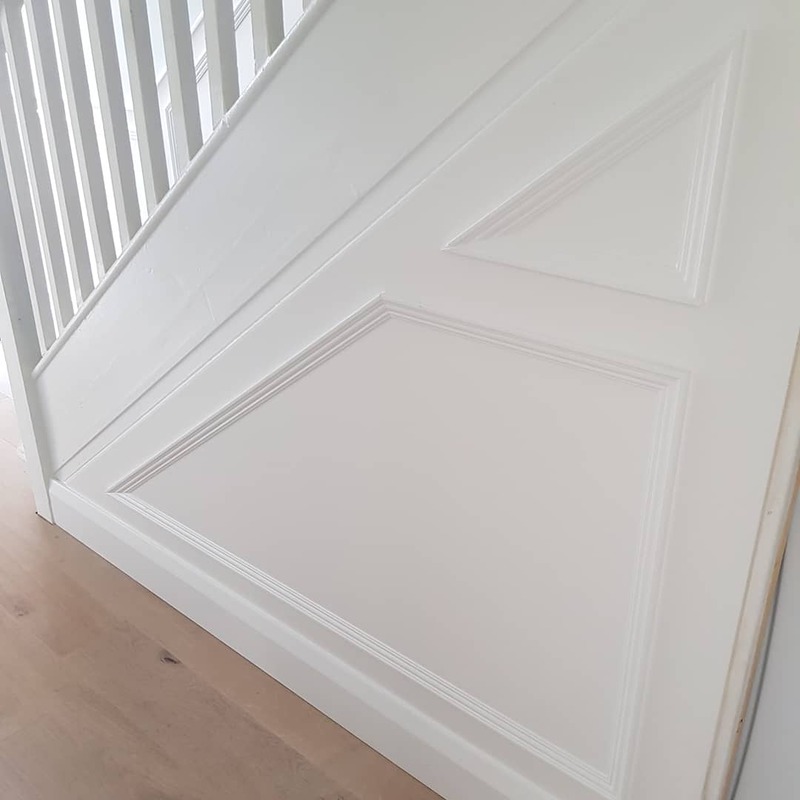 The hall, stairs and landing has wainscoting painted white and a renaissance painted above the panels. The bathroom has a 750×1000 shower tray with rain head plus a bath. There is a floating vanity unit with Morocian style tiles on the floor and 900×300 grey tiles with hexagonal design on them.